Welcome to the CookingWithCricut.com and PaperCraftingWorld.com Designers June Blog Hop.Today is day two of great projects with each day showcasing different designers and projects. If you have come from Melin at Cooking with Cricut then you are moving along. If you would like to start from the beginning, please head over to CookingWithCricut.com. Happy Birthday to Jen! She puts in so much "behind the scenes" work for Cooking With Cricut, and she has been dealing with a lot personally so I really hope seeing all of these projects inspired by the things she loves to be uplifting. 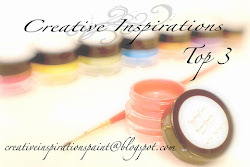 First of all, how can I say no to a blog hop that is centered around alligators?? Jen and I like alligators for two very different reasons. She is a Florida Gators fan while I actually just like alligators. When I was about 10 years old my family went to Disney. As I remember my grandfather gave me $10 to spend. We were at Sea World, which was like Heaven on Earth to me. We stopped at the gift shop and the only stuffed animal I could afford was an alligator with a Hawaiian shirt on. He's lost his Hawaiian shirt since then, but I still have him - he sits on top of my dresser. My grandfather passed away about 2 1/2 years ago, so this little guy hold an extra special place in my heart now. My grandfather always bought me alligator stuff: cups, paper, toys, games. You name it, I got it. Once when I was pregnant with my daughter we had a scare where I hadn't felt her move in a while so we had to go the hospital to check on her. They saw a heart beat but weren't detecting any movement. He called me and told me to turn on the news: some alligator had gotten into a commercial parking lot in Florida and they were trying to catch it. He told me to watch it and to relax and that the baby would move. So I did, and she did move. He was right. He had a way of giving me the straight forward, no-nonsense advice I always needed to hear. Here is the birthday card I came up with using the alligator, birthday, blue and orange inspiration! The alligator is from Create a Critter ( as is the circle shape). the card is another great fold I found on Split Coast Stamper. You can find the direct link to the "Joy Fold Card" here. Thanks for stopping by to see my project. And again, the very happiest of birthdays to Jen! Be sure to head over to Cooking with Cricut and leave a comment for a chance to win some great blog candy! Now on to your next stop: xochitl at Cricut Critter Scrapping Heaven. Oh what precious memories! I love your Gator stuffie from Grandpa!!! Priceless. Your card is perfect! How fantastic from "gator girl" to another!!! Thank you so much! I like the clever fold to your card, Melissa, and the card itself is adorable! Love the papers! What a sweet story, Melissa!! I am sure Jen is going to LOVE this card! It is so festive and I really like the fold!! What a great story about your grandfather. Why this blog hop has brought out the gator in so many folks. Your card is just perfect for our Jen. Great design and the colors could not be any better. Great card, love the design and paper combo! Thanks for sharing such a treasured memory with your grandfather. What an awesome card and an even more touching story, Melissa! Thanks from one gator girl to another! Love your gator story - no wonder they hold special place in your heart. And Jen's card is so cute. I love joy fold cards and yours is terrrific. Super sweet gator card! I love the happy colors! Thanks for sharing your sweet memories! Great card! And what a great little gator you have, truly a family treasure. Thanks for the link to the card fold instructions I love finding new ways to spice up my cards. What wonderful memories and such a special connection you had with your grandfather. Your card is adorable!!! Love this! I haven't made a joy fold card for a long time. Need to make one again. Love your memories about the gator and your grandfather. Great Joy Fold car. Love that style of fold. Cute card!! I LOVE that you still display your gator!! Great card! Loved your gator and your memories of your grandfather. TFS. cute card, I love how it folds out, and the bright colors! Cooking with Cricut: It's HOT Outside!